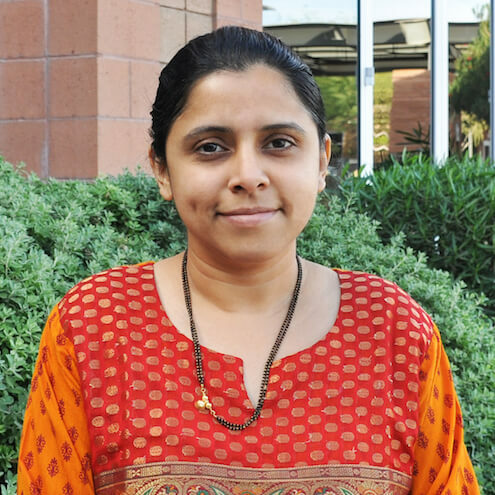 Dr. Raje, MD, became a part of Warner Family Practice in 2018. She believes in working as a team with her patients. Patients appreciate she takes time to listen and make her best efforts to improve health. Pradnya Raje was born and raised in Mumbai, India, and completed her education there as well. Her favorite place in Mumbai is the seashore. Being raised in a multicultural society allowed her to learn two languages, Marathi and Hindi, along with English. As a young child, Dr. Raje was asthmatic. Her family’s physician was compassionate and devoted to the medical profession; that interaction profoundly inspired her. That lead to an interest in medicine at 8 years of age. That interest has slowly developed into her passion. She chose medicine essentially to help people. Dr. Raje truly believes that an ounce of prevention is better than a pound of care. Screening for cancers, vaccinations, preventing heart attacks, strokes and many such problems can be avoided with preventative care. It not only saves the person’s life and future suffering, but saves healthcare dollars and family sufferings too. Having specialized in dermatology in India, she is very interested in skin issues, and believes skin cancer prevention is one of the major preventative strategies that can save lives. She strongly believes the healthier a person is, the better and more enjoyable their life will be. Happy patients equal a successful day, according to Dr. Raje. Listening to her patients, addressing their concerns and being able to find the best possible solution for their medical problems is success. Outside of the office, Dr. Raje loves spending time with her family. She has a loving husband and two adorable daughters. They go to the parks, read and garden together. She also enjoys doing yoga.